Get ready to lay on the texture with this throw pillow. 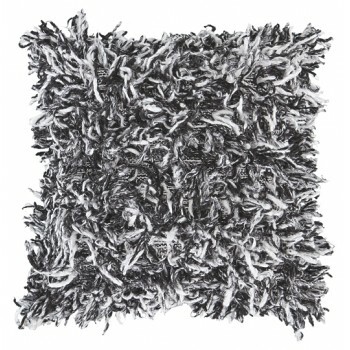 Shag design brings dimensional beauty to the black and white palette. Cotton cover is teeming with softness that draws you closer.